Enjoy all the pizza you can eat from local pizzerias. Beer, wine, cocktails and other drinks will be available for purchase. Plus, music provided by Q102. Tickets are $15 in advance/$20 at the door. $5 for children 10 and under. Also available: $50 VIP tickets, which include a parking pass, (2) drink tickets, and access to the Western & Southern tent featuring seating, a private bar, and pizza sampling. 100% of the ticket price benefits cancer research at the UC Cancer Institute. 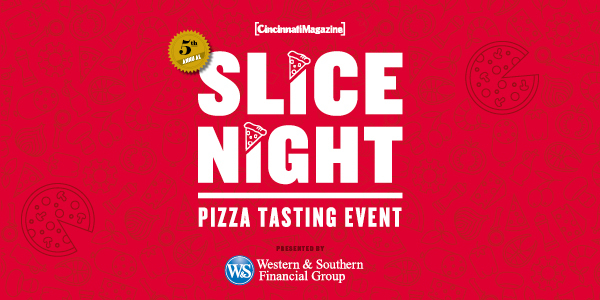 Click here to purchase tickets: https://foundation.uc.edu/slicenight2018 or call Erin Hart at (513) 558-6342.